Located in the Pacific Ocean, Taiwan shares that ocean’s precious marine resources with other island nations, as well as facing the shared threat of climate change and rising sea levels. 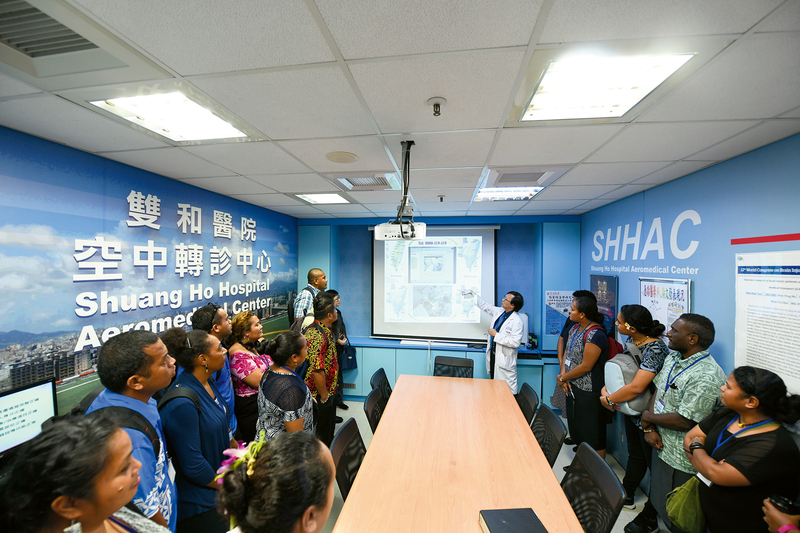 Through the Pacific Islands Leadership Program, Taiwan is working to train a new cohort of leaders for this future, giving a precious gift to the next generation. 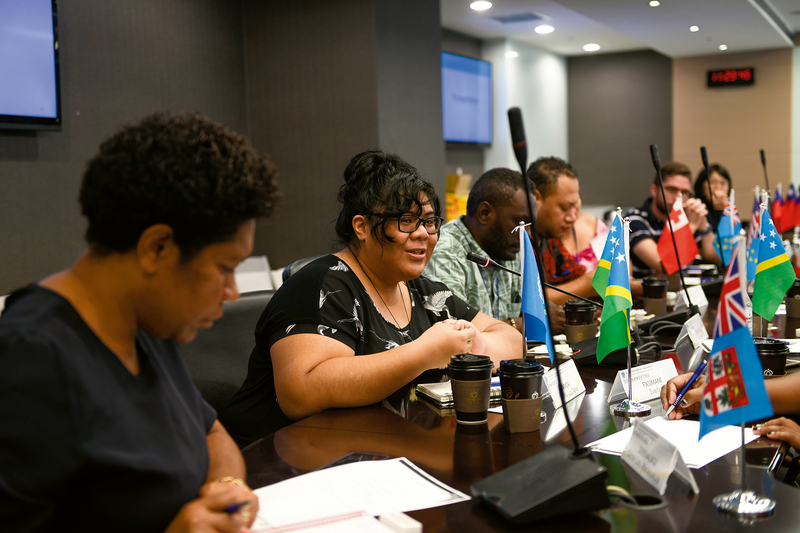 In the autumn of 2018, Taiwan’s Ministry of Foreign Affairs welcomed a group of 22 leadership fellows from 12 Pacific nations, including the Solomon Islands, Kiribati, Palau and Tuvalu. 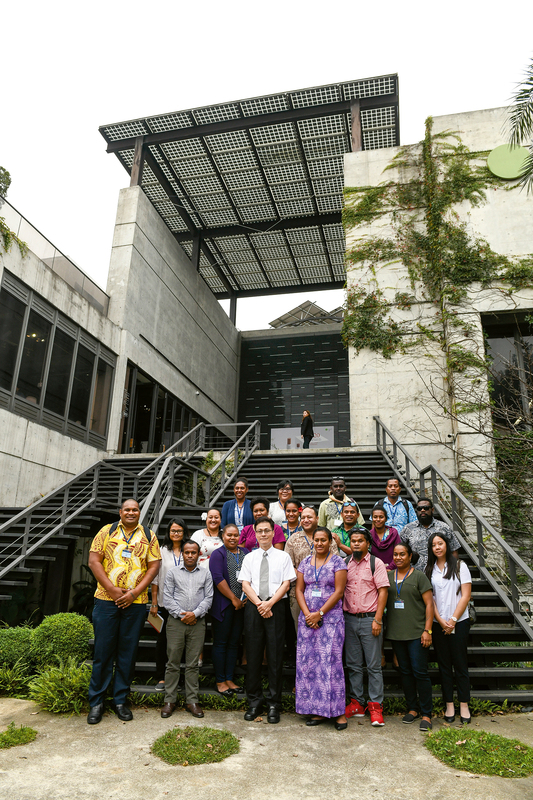 They were in Taiwan to take part in the six-week Pacific Islands Leader­ship Program with Taiwan (PILP). At the suggestion of the US Congress, the Hawaii-based East‡West Center signed a memor­andum of understanding with Taiwan in 2012 to jointly run the PILP between 2013 and 2017. 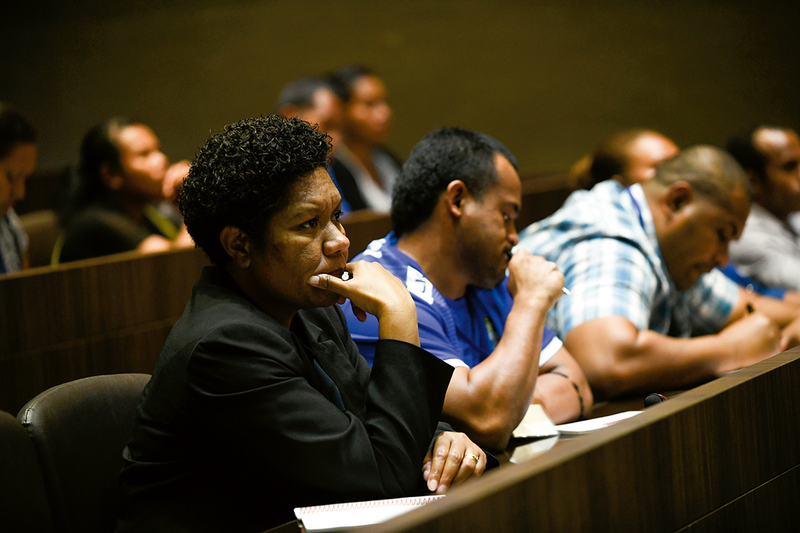 Over the course of those five years, the program trained some 122 fellows from various Pacific nations. At the closing ceremony for the 2017 program, the two sides renewed the agreement for a second round, with “Generation 6” scheduled for 2018. The training program is divided into two phases, the first of which is undertaken at the East‡West Center in Hawaii and focuses on leadership skills and team building. The second phase sees the participants move over to Taiwan. Hosted by the Institute of Diplomacy and Inter­national Affairs (IDIA) under the Ministry of Foreign Affairs, the program deals with issues around the United Nations Sustainable Development Goals (SDGs) and other issues relevant to island nations. Their work covers climate change, environmental protection, green energy, cultural preservation, and more. 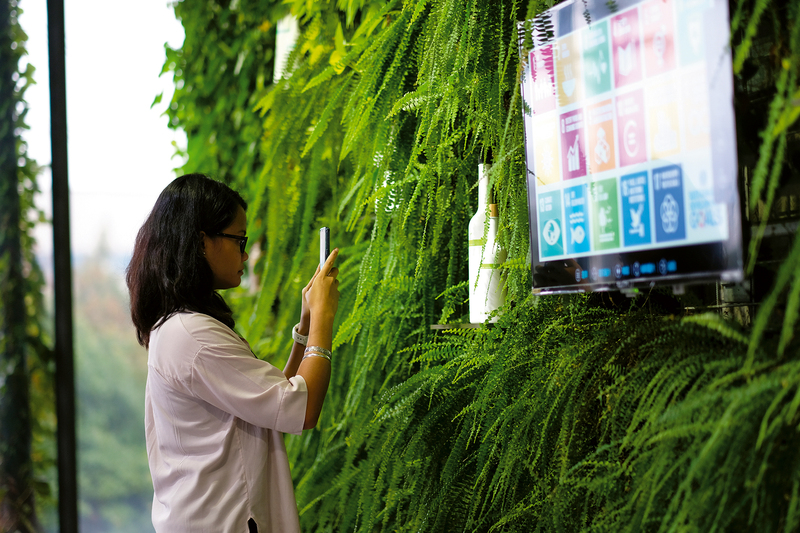 While Taiwan may not be a member of the United Nations, the country has nonetheless taken a great inter­est in the SDGs, which cover areas from the elimination of poverty and hunger to achieving food security, improv­ing nutrition, and promoting sustainable agri­culture. On some goals Taiwan has even outpaced many actual UN members, such as in the areas of women’s rights and gender equality. In 2015, Taiwan would have ranked first in Asia and ninth in the world in terms of equality by the standards of the UN Development Programme’s Gender Inequality Index (GII). 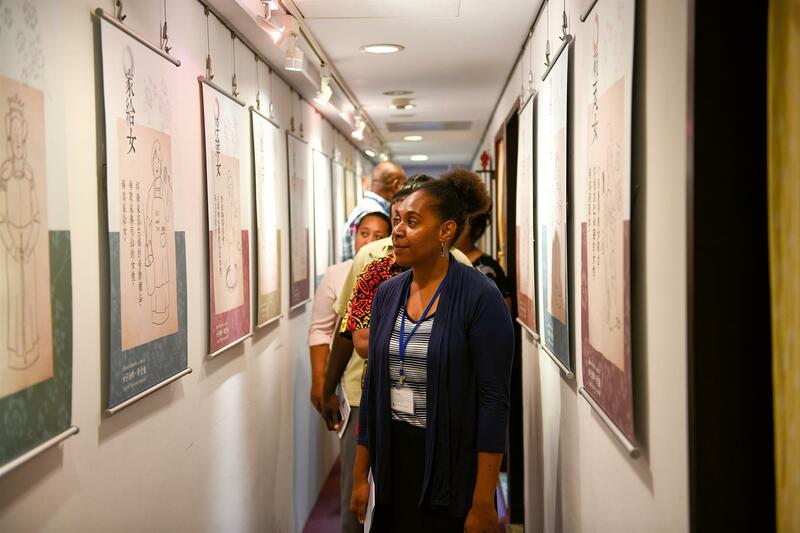 As part of the PILP program, the IDIA arranged for the fellows to visit the Taiwan Women’s Center, run by the Foundation for Women’s Rights Promo­tion and Development. The center gave the fellows a rundown on legislation such as the Act of Gender Equality in Employment and the Sexual Assault Crime Prevention Act, explaining how after Taiwan signed the Convention on the Elimination of All Forms of Discrimination against Women (­CEDAW) in 2007, the country then worked to internalize it as law by 2011. Vice-director Sunny ­Huang also shared that despite Taiwan’s sensitive position in the inter­national space, all manner of women’s groups nonetheless take active part in international conferences, sharing Taiwan’s achievements and experiences in gender equality and convincing many to speak up for Taiwan. Sarah Kaut-Nasengom, a research project officer from Papua New Guinea’s National Research Institute, is a specialist in gender issues. The challenges Taiwan has faced in promoting gender equality, she says, have been similar to those faced by PNG, so she has shared contact information with foundation personnel in the hope of staying in touch after she heads home and getting more information on women’s issues in Taiwan. Starting in 2018, the second, Taiwan-based phase of the PILP has grown from four weeks to six, with the IDIA adding a number of field trips. Among these was a visit to the Council of Agriculture, where the fellows were intro­duced to Taiwan’s agricultural and fisheries policy. From there, they headed to the Fisheries Research Institute and an agri­cultural improvement station to see the results of these organizations’ research. Finally, they visited private organic farms and aqua­culture operations to meet face to face with people on the front lines. “We could really see how absorbed in it all they were by their enthusiasm and the in-depth nature of their questions,” says the group leader, Ambas­sador Victor J. Chin. Over the course of their six weeks, the fellows traveled practically the length and breadth of Taiwan, from checking out art at Kao­hsiung’s Pier-2 Art Center to learning about Taiwan’s conservation of marine resources at the National Museum of Marine Science & Technology in Kee­lung. 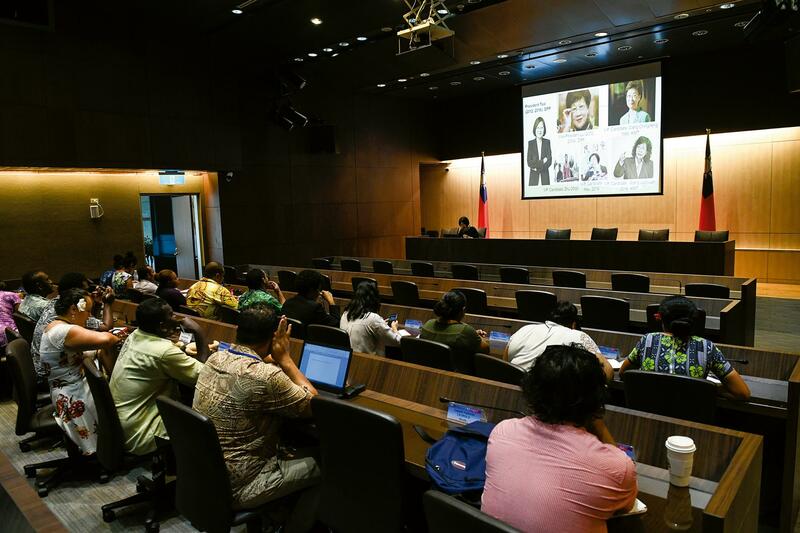 Energy problems are another issue of concern to many island countries, and the PILP not only included seminars on the green energy industry in Taiwan, but also visits to related companies in Tao­yuan. With fast fashion so popular in contemporary society, we are seeing a consequent exacerbation of problems of overconsumption and resource wastage. Charles Y. 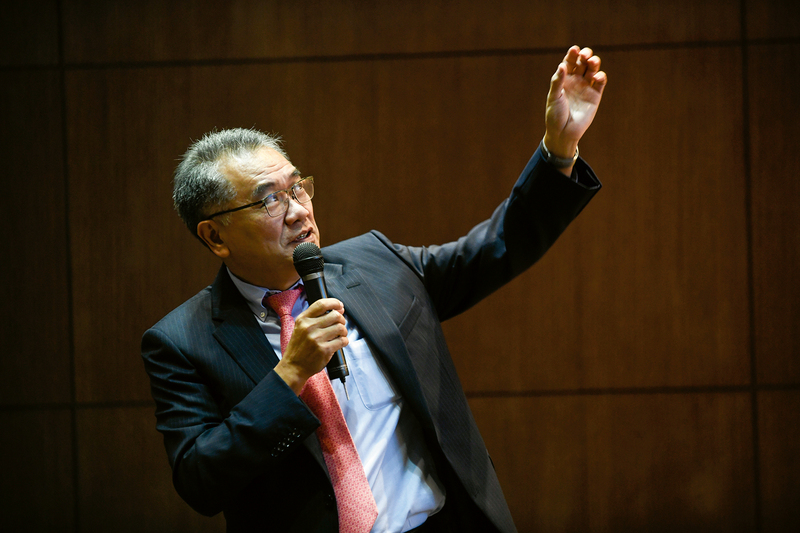 ­Huang, chairman of the Taiwan Sugar Corporation, was invited to give a talk, sharing with the fellows his experi­ence with the concept of the circular economy. As an example, ­Huang discussed jeans rental stores that can be found in Europe, where consumers can have jeans to wear without having to buy them. When the jeans are worn out and unwearable, textile technology can process them into yarn from which new denim can be made, creating new jeans that can then be rented by new customers—a concrete realization of the idea of the circular economy. “I will go back, I will try and implement laws and implement policies… that will encourage education at a young age, encourage them to have that mindset that they do not need to own things, they just need to possess things,” says Tuvaluan fellow Melissa Ako. Taiwan is home to over 90,000 non-governmental organizations, covering areas as diverse as education, the environment, medicine, and agriculture. This year’s NGO Forum, a first for the program, saw the PILP fellows exposed to the experience and enthusiasm of six of these, namely the Noord­hoff Craniofacial Foundation, the Tzu Chi Foundation, Vision Youth­Action, the Chinese Wild Bird Federation, the Tse-Xin Organic Agri­culture Foundation, and the Taipei Zoological Foundation. Jade Cruz, of Palau, shares that prior to coming to Taiwan, she had never thought about getting involved with agriculture. 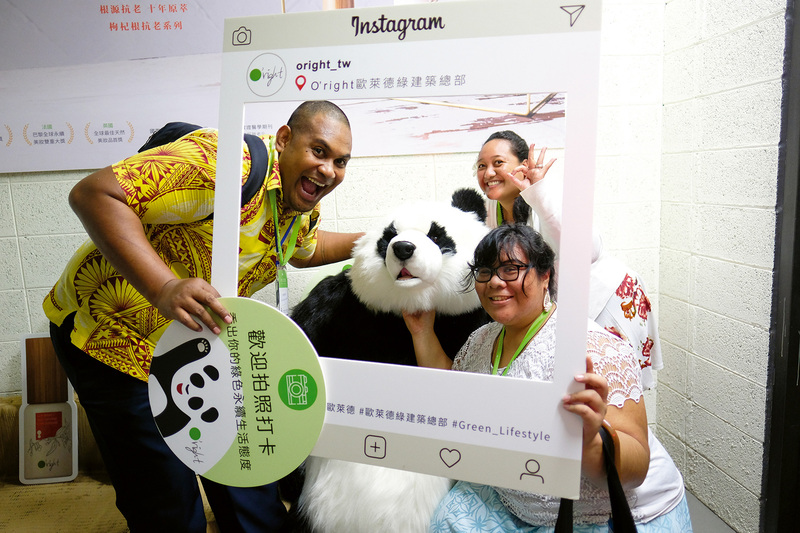 Through the PILP, though, she has gained an understanding of the development of organic agriculture in Taiwan and seen how the country is working to protect the environment. Now she hopes to take that know­ledge back to Palau and begin focusing on agricultural and food safety issues there. Philippe Lemonnier, a leadership education teaching assistant from the East‡West Center, accompanied the group to Taiwan. Coming here has opened the eyes of many of the fellows, he says, showing them that they can do more and do things differently. Their experience in Taiwan will inform their postgraduate studies in their home countries, and many of them will go on to start companies or NGOs of their own, all because they came to Taiwan. Lori Concepcion, also of the East‡West Center, shares that “one of the Generation 4 PILP fellows actually started a project to help women in their home community after they went back to their country.” In such ways, the fellows are able to take what they learn in Taiwan and make a real difference. Lemonnier, himself a Generation 2 fellow, says his life changed through his participation in the PILP. Originally a lawyer, his four weeks in Taiwan opened his eyes to new possibilities. After returning to French Polynesia he launched TEDxPapeete, bringing exciting speeches to his home city. He has also set up an enterprise named Pacific Ventury, using classes and workshops to help companies and individuals find their true passions, boost their leader­ship skills, tap into their potential, and prepare for the challenges of the future. Vice President Chen ­Chien-jen also personally met with this year’s fellows, saying, “Through cooperation, we can come together to address the pressing challenges of the times, like climate change, sustainable development, environmental protection, and clean energy. To truly meet these challenges, we need to train outstanding leaders…. Only with leaders ready for the future will we be able to strike a balance between local values and the needs of modern society.” We hope that with vision and wisdom, these leaders of the future will lead the peoples of the Pacific, and of the world, toward a brighter future.